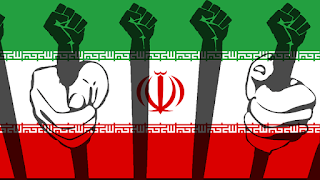 INU - An end to legal rights in IranDespite promises from President Hassan Rouhani, the Iranian Regime’s judiciary is increasing its efforts to strip defendants of their civil and legal rights, including due process, according to political scientist Dr Majid Rafizadeh. Rouhani has promised to promote human rights in Iran, including freedom of speech, the press and assembly, on numerous occasions since he first ran for office in 2013, but he never actually intended to protect these rights, which is why it is not surprising that he has failed. In actual fact, human rights in Iran have actually gotten worse under Rouhani, which can be seen most prominently in recent changes in the judiciary system that target Iranian citizens and non-citizens alike, who are detained in Iran. Back in June, the judiciary released a list of just 20 lawyers who are approved by the Regime to represent detainees accused of political crimes – often dressed up as national security by the mullahs. This is a violation of the Iranian constitution which enshrines the right of defendants to choose their own lawyer. This should strike fear into the heart of anyone that believes in fair trials and the rule of law. How can we expect defence lawyers personally selected by the Iranian Regime to adequately defend political prisoners? Simply, we can’t. Granted, detainees held on political charges before Rouhani took office often had problems finding a lawyer to represent them because the Regime would often target the lawyers, but the defendants at least had the chance at a defence. Back then, there were still some lawyers, notably Nobel Peace Prize-winning human rights lawyer Shirin Ebadi, and Nasrin Sotoudeh, who would take on the cases of political dissidents despite the Regime’s attacks. Ebadi now lives in London to evade the Regime’s pressure, but her Nobel Peace Prize was confiscated by the mullahs. Sotoudeh was arrested in Iran and will now serve five years in Evin Prison. This removal of rights will only make it easier for the Regime to bring political charges against people and send them to prison or to the noose.